On 28 and 29 of May, 30 members of the engagement group participated in panels during the seminar which brought together leading think tanks from around the world, global policy-makers, business leaders and constructive NGOs. 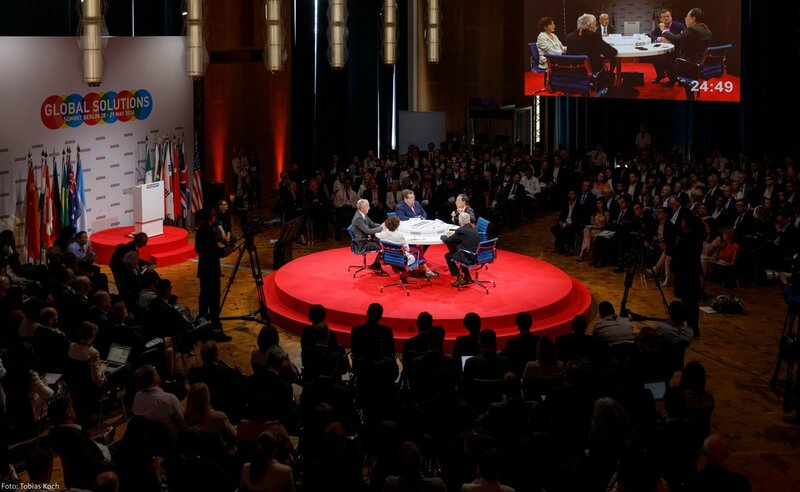 The Global Solutions Summit was an opportunity for the Think 20 community to continue the debate of the Task Forces’ topics and it was also an ideal prelude to the T20 Summit in Buenos Aires. Over a thousand people attended the T20 Argentina associated event on Monday 29 and Tuesday 29 of May in Berlin. There were a number of participants at the seminar including the German chancellor Angela Merkel, representatives from a number of G20 governments, the Nobel laureates George Akerlof and Edmund Phelps, officials from organizations such as the OECD, United Nations and the World Bank, and 30 representatives from the T20, including co-chairs and members of government bodies. “We are capable of coordination on a supranational scale, we are capable of it on a global scale. The G20 needs a human face and that can be achieved through narratives and internal change,” said Dennis Snower, president of the Kiel institute and co-chair of the “Social Cohesion, Global Governance and the Future of Politics” Task Force, during the welcome speech. “The role of think tanks is to anticipate future dilemmas and recommend new solutions. That is the main responsibility of the T20 and we need to think not only about policy innovations but also, and more importantly, about innovation in global governance. We started our work in January in Buenos Aires and the work is going to be culminated in September in our Summit,” said Julia Pomares, executive director of CIPPEC and T20 co-chair during the session on “The Future of Work: Towards a New Social Contract in the Digital Age”. “Building resilience to climate risks is paramount in the context of rapid urbanization. Floods or drought won’t respect jurisdictional boundaries. Sectorial solutions won’t cope with the complexity needed to tackle these challenges. Thus, it is necessary to revise the way our institutions are organized and to foster an integral institutional approach that can address the metropolis transversally, rather than by territorial zones or thematic sectors,” said Gabriel Lanfranchi, director of cities at CIPPEC and co-chair of the “Climate Action and Infrastructure for Development” Task Force. “Fostering a roadmap to achieve the G20 2014 Brisbane goal of reducing the labour participation gender gap by 25% by 2025 will advance both equity and growth,” underlined Gala Díaz Langou during the Think 20 session on “Gender Economic Equity for Inclusive Growth and Sustainable Development”. “We mapped three global trends: the first trend is increasing political polarization and electoral volatility. The second trend is the decreasing trust in governments and in democracy. And we are getting skeptical of democracy as an effective regime. The third trend is the emergence of new forms of participation through social media and new technologies. The main conclusion of this mapping is that these trends are already having an impact on global governance,” said Julia Pomares during the session on “The Future of Politics and its Implications for Global Governance”. “This year we are responsible not only for generating the first knowledge network and recommendations in the T20, but also to ensure that education remains within G20 interests in the future,” said Alejandra Cardini, director of education at CIPPEC and co-chair of the “The Future of Work and Education for the Digital Age” Task Force, during the panel on “Education for the Future: Global Perspectives for Better Learning”. “There is not one but many different futures of work, especially between developed and developing countries. In emerging economies, the challenge is to think how the productive structure can change to create better jobs. This means thinking in education policies, in productive development and in adopting technology,” explained Martín Rapetti, director of Economic Development at CIPPEC and co-chair of the “The Future of Work and Education for the Digital Age” Task Force during the session on “The Future of Work in Low and Middle Income Countries: Shaping Large-Scale Transformations”. “If I had to choose only one policy to fight poverty, it would be early child care education,” said Gerardo della Paolera, Executive Director of the Bunge and Born Foundation and member of the T20’s Steering Committee, during the panel on “Turning around the Downward Spiral of Economics, Social and Political Cohesions”. “Multilateralism has to be redefined and rediscussed. There is still a transitional path to a new multilateral order that we still do not know,” said Jorge Argüello, President of Fundación Embajada Abierta and member of the T20 Argentina Steering Committee, during the session on “Implications of emerging trade conflicts”. “In our Task Force on International Financial Architecture, we call on G20 leaders to task development finance institutions (DFIs) such as the development banks in member countries and the Multilateral Development Banks (MDBs) to commit to scaling up resources by 25 percent and orient them to maximize development impact,” said José Siaba Serrate, advisory member to the Argentine Council for International Relations (CARI) and co-chair of the“An International Financial Architecture for Stability and Development” Task Force, during the session on “Adjusting the Financial System to Support the 2030 Agenda”. “We are doing a good job with our ten Task Forces, they take into account the more important areas connected to multilateralism. It is important for us to come here and learn,” said Gustavo Martínez, the secretary of Coordination at CARI and T20 Argentina secretary for executive coordination, during the closing plenary. “We are facing a moment of systemic transformation on a number of different levels. We are not going to do this with economics alone, we need a multi professional approach in the long term. Thank you for getting us to think imaginatively about the future,” said Colin Bradford, Senior Fellow at Brookings Institution and member of the T20 Argentina Advisory Board, during the closing plenary. ⦁ Franco Bruni, vice president of ISPI and co-chair of “An International Financial Architecture for Stability and Development” Task Force. ⦁ Eugenio Díaz-Bonilla, Senior Research Fellow & Head of the LAC Program at IFPRI and co-chair of the “Food Security and Sustainable Agriculture” Task Force. ⦁ Ottmar Edenhofer, director of MCC and co-chair of the “Climate Action and Infrastructure for Development” Task Force. ⦁ Marc Fleurbaey, Steering Committee member of IPSP and co-chair of the “Social Cohesion, Global Governance and the Future of Politics”. ⦁ Homi Kharas, Interim VP & Director of the Global Economy and Development Program, Brookings Institution, and co-chair of the “2030 Agenda for Sustainable Development” Task Force. ⦁ Ricardo Meléndez-Ortiz, CEO of ICTSD and co-chair of the “Trade, Investment and Tax Cooperation” Task Force. ⦁ Irene Natividad, Founder and President of GlobeWomen Inc.and member of the T20 Argentina Advisory Board. ⦁ Jeffrey Sachs, Professor and Director of the Center for Sustainable Development, Columbia University, member of the T20 Argentina Advisory board and co-chair of “The Future of Work and Education for the Digital Age” Task Force. ⦁ Güven Sak, Managing Director and Area Studies Program Director of TEPAV and co-chair of the “Migration” Task Force. ⦁ Astrid Skala-Kuhmann, Director of Global Partnerships at GIZ and co-chair of the “Migration” Task Force. ⦁ Elizabeth Sidiropoulos, CEO of SAIIA and co-chair of the “Cooperation with Africa” Task Force. ⦁ Margo Thomas, Gender and Growth Initiative Fellow, Chatham House, and co-chair of the “Gender Economic Equity” Task Force. ⦁ Christian von Haldenwang, Senior Researcher at the Governance, Statehood & Security Dept. at DIE and co-chair of the “Trade, Investment and Tax Cooperation” Task Force. ⦁ Naoyuki Yoshino, Dean at the ADBI and the co-chair of the “Climate Action and Infrastructure for Development” Task Force. ⦁ Simon Zadek, Co-Director of the UNEP Inquiry into Design Options for a Sustainable Financial System and co-chair of the 2030 Agenda for Sustainable Development Task Force. 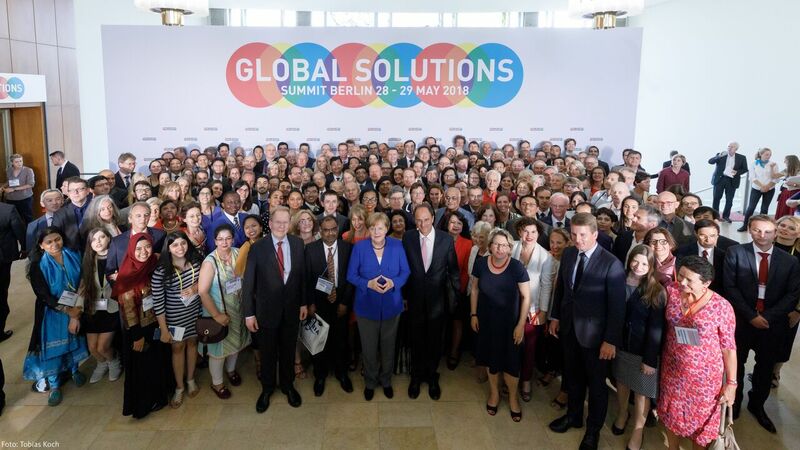 You can watch the speeches, presentations and panels from both days of the Global Solutions Summit in these two videos of the event.